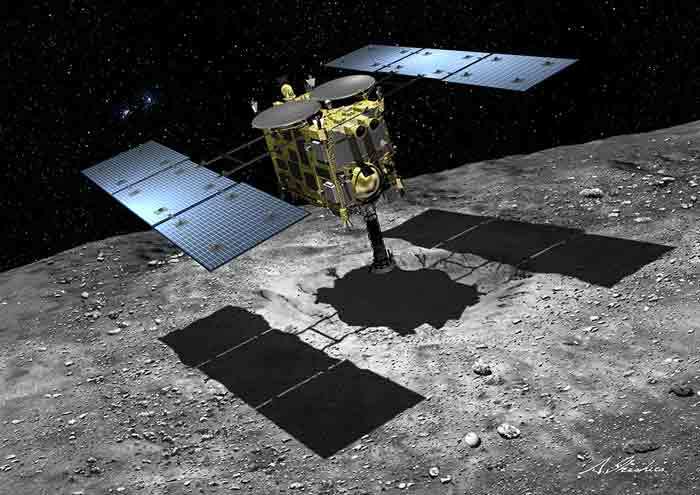 Artist's impression of the Hayabusa spacecraft collecting asteroid material. Credits: JAXA. Mascot (Mobile Asteroid Surface Scout) is a lander unit for the HAYABUSA-2 asteroid mission. Hayabusa-2 is a mission of the Japan Aerospace Exploration Agency (JAXA) targeted to visit a near Earth asteroid named Ryugu (1999 JU3) in order to return asteroid samples to the Earth. It is a follow-up mission of the successful Hayabusa mission, that in 2010 delivered first samples from another asteroid - Itokawa. The Hayabusa-2 spacecraft houses a small 10 kg lander named Mascot. Mascot was developed under cooperation of German Aerospace Center (Deutsches Zentrum für Luft- und Raumfahrt; DLR) and French space agency (Centre national d’études spatiales - CNES) and shall provide enhanced in-situ measurements made on the asteroid surface. The Hayabusa-2 spacecraft has been successfully launched on the 3rd of December, 2014 from Tanegashima Space Center in Japan. After a four year lasting cruise phase the asteroid will be reached mid 2018. It will stay hovering above the asteroid for about one and half year of operation and then the spacecraft will return to Earth at the end of 2020. Operational mission phases. From Lange et al., 2010. Besides remote observations, Hayabusa-2 will release an impactor that will create a surface crater. The spacecraft will then try to collect material from within this crater in order to acquire sub-surface material. The spacecraft will also deploy the Mascot lander from an altitude of approx. 50 m. After landing, Mascot will orient itself and start with in situ measurements that will last about 16 hours - 2 asteroid days. MicrOmega - a near infrared microscope measuring the spectra of surface materials in order to identify the surface material composition. MicrOmega was developed by the Institut d'Astrophysique Spatiale (IAS), a laboratory of the National Center of Scientific Research (CNRS) and of the University of Paris-Sud 11. CAM - a camera imaging the landing site and surface fine structure. This camera is developed by the German space agency DLR. 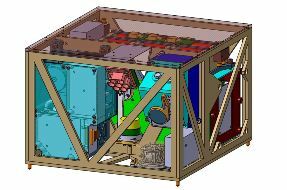 MARA - a radiometer to measure surface temperature, emissivity, and thermal inertia, also developed by DLR. MasMag - a fluxgate magnetometer measuring any asteroidal magnetic field. The magnetometer is developed by the Institut für Geophysik und extraterrestrische Physik (IGeP) of the Technische Universität Braunschweig (TUBS). MASCOT CAD model. Credits: DLR. The lander will provide measurements of the surface asteroid properties at different spots. For relocation the lander will perform jumps estimated to ~10 meters long. At each site, the lander will process sequence of measurements and then proceed with relocation. Some measurements, e.g., magnetic field observations, will be performed also during jumps maneuvers. During daytime, the lander keeps communication link with the Hayabusa-2 S/C. During nighttime, the link is broken, but scientific operations continue. Data are stored in on-board memory for transmission after the link is restored. The total mass of the lander is ~10 kg with dimensions of 30x30x20 cm3. The MasMag sensor developed at the Institute for Geophysics and Extraterrestrial Physics (IGeP) of the TUBS and the electronics development is subcontracted to Magson GmbH. MasMag is a fluxgate magnetometer dedicated to measure the three components of the magnetic field. This kind of magnetometer has a long heritage at IGeP from previous space missions such as THEMIS (NASA), Venus Express (ESA) or ROSETTA (ESA). The magnetometer consists of sensor head and electronics. 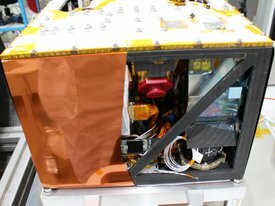 The electronics is placed inside lander common electronics box, while the sensor itself is mounted near the bottom corner of the lander body frame. The sensor contains two ring core elements of high-permeability material for the magnetic field concentration. Around the ring cores, excitation coils are wound, that are necessary for core saturation - basics of fluxgate principle of operation. Second set of coils - three axis sensing coil system - picks up the induced signal. In order to keep the sensor in linear regime and avoid the need of range switching, Helmholtz coil system provides the feedback and keeps the sensor in near zero field. Information about the ambient magnetic field is then extracted from the signal using both input and feedback values. The sensor structure is covered with a multi-layered insulation (MLI) as a passive thermal control. MasMag instrument accommodation within the lander frame at the right bottom corner. Dietze, C., Herrmann, F., Kuss, S., Lange, C., Scharringhausen, M., Witte, L., Zoest, T. van, et al. (2010). Landing and mobility concept for the small asteroid lander Mascot on asteroid 1999 JU3. 61st International Astronautical Congress (pp. 1-13). Prague. 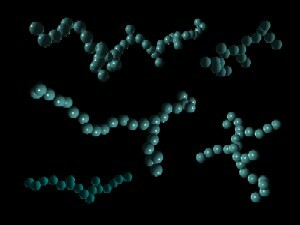 Lange, C., Dietze, C., Ho, T., Kroemer, O., Lange, M., & Wagenbach, S. (2010). Baseline design of a mobile asteroid surface scout (MASCOT) for the Hayabusa-2 mission. IPPW-7. Barcelona. Richter, I., Cassel, M., Glassmeier, K., Othrner, C., & Tsurutani, B. T. (2001). First Direct Magnetic Field Measurements of an. Geophys. Res. Lett., 28(10), 1913-1916.